Rahbi Hammond, aka Rah the Son, pumps up the crowd at Detroit LIVE. 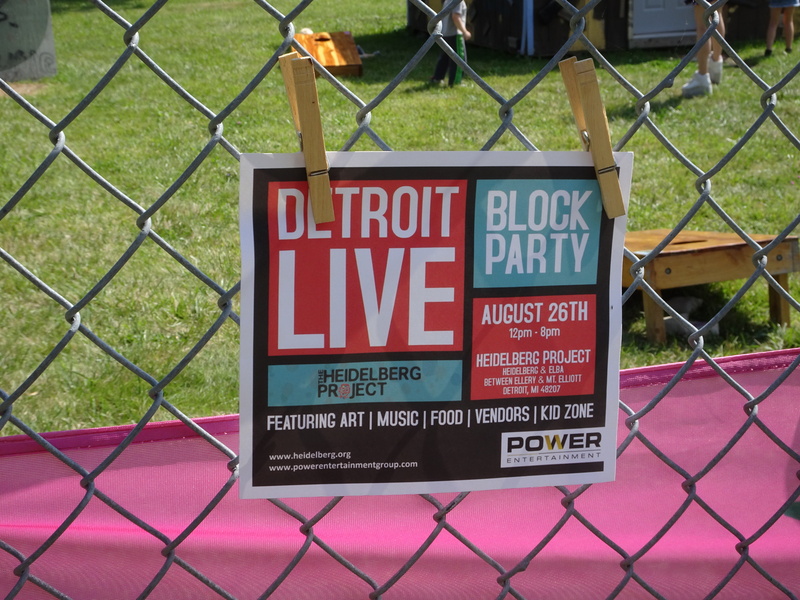 A blend of Motor City sunshine, art and music formed a new creative and collaborative vibe during the inaugural Detroit LIVE at the Heidelberg. 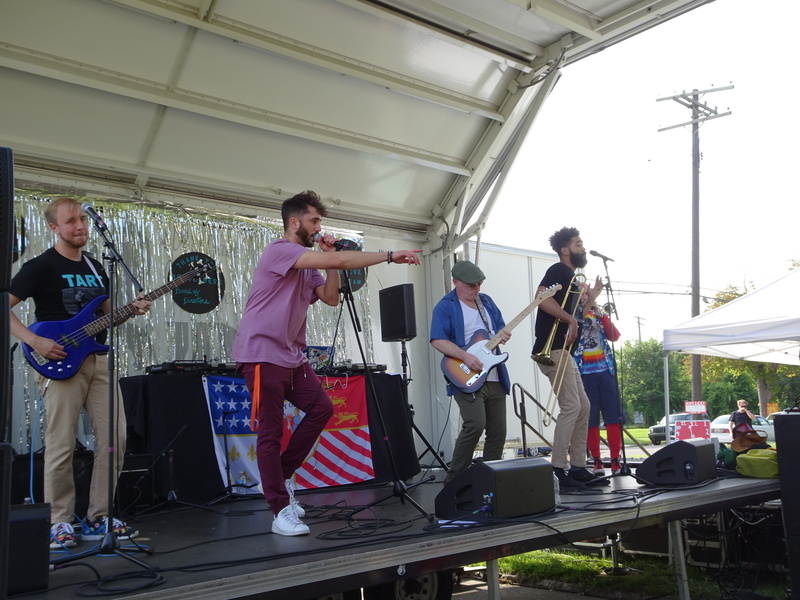 That vibe pulsated throughout Heidelberg Street as more than 2,000 attendees enjoyed family, friends, festivities, food and fun at the free Aug. 26 block party near the city’s iconic art installation. Donna Kassab, POWER Entertainment owner and Detroit LIVE creator, joined Whitfield to reflect on the event’s strong creative community. 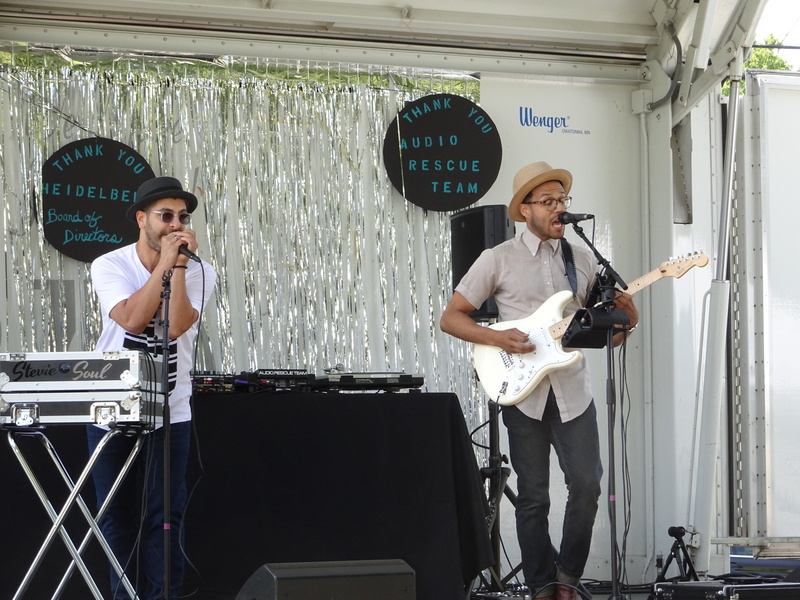 Nine artists continued to spread that vibe musically as they showcased Detroit’s best hip-hop, techno, R&B, classical and indie rock before curious and engaged attendees. 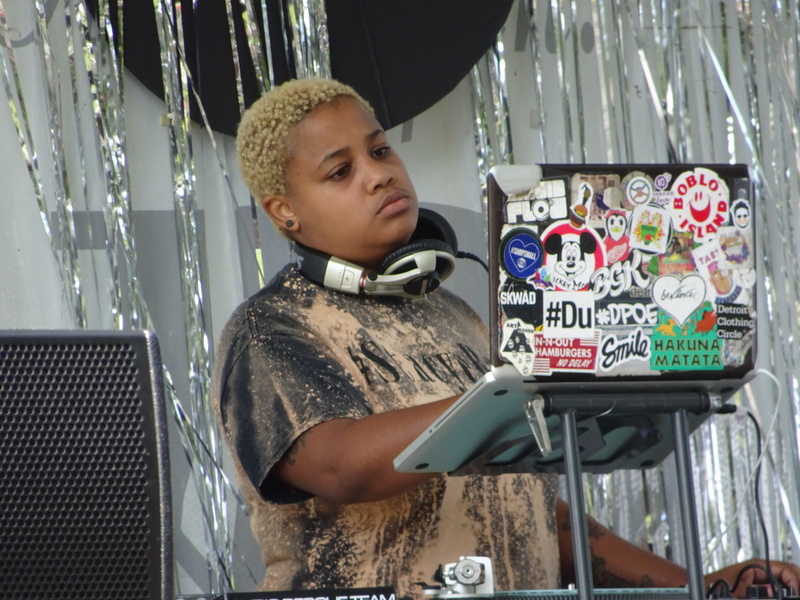 DJ Stacye J kicked off a groovy 30-minute mix of dance and R&B while a team of fitness enthusiasts worked out with Terra Castro from the Detroit Body Garage and Yoga Dan Gottlieb. Participants jumped through mini obstacle courses, juggled fitness balls, experimented with yoga and ran to the beat of the music. 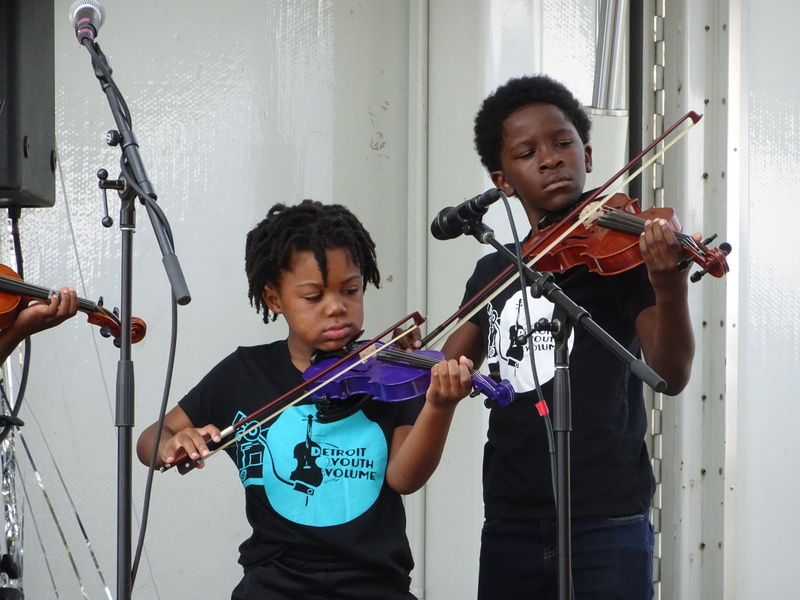 The students played hip-hop and perpetual motion jazz violin while following the Suzuki method, which applies the basic principles of language acquisition to learning music. 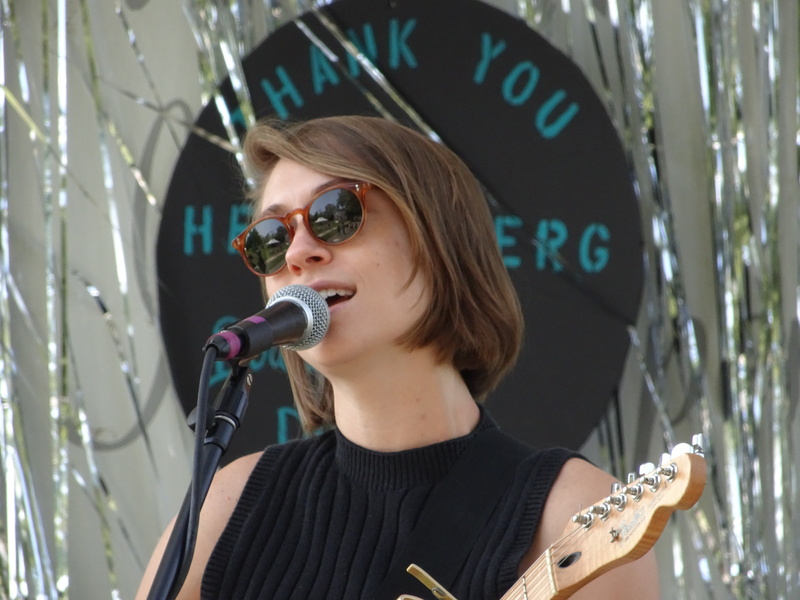 After Detroit Youth Volume, Frontier Ruckus member Anna Burch played several songs from her debut album, “Quit the Curse,” which will be released next spring, and reflected on being part of Detroit LIVE. Her infectious indie pop and bright guitar tones served as the ideal soundtrack to the laid back, artistic atmosphere of Detroit LIVE. Later in her set, Burch pulled out a pair of sunglasses before singing “2 Cool 2 Care” and thanked her Frontier Ruckus bandmates for providing moral support during her performance. Detroit LIVE also picked up another groovy vibe with the rock and R&B infused sounds of Stevie Soul + Omar Aragones. Together, the powerhouse duo sounded more like a stage full of musicians due to Soul’s incredible beat box abilities and Aragones’ soothing vocals and guitar. As an established beatboxer, Soul mimics trumpets, drums, percussion and tons of other instruments with just a microphone. It’s truly a one-person rock and soul symphony based in Detroit. Detroit LIVE continued to find its groove with Drummer B at the helm. 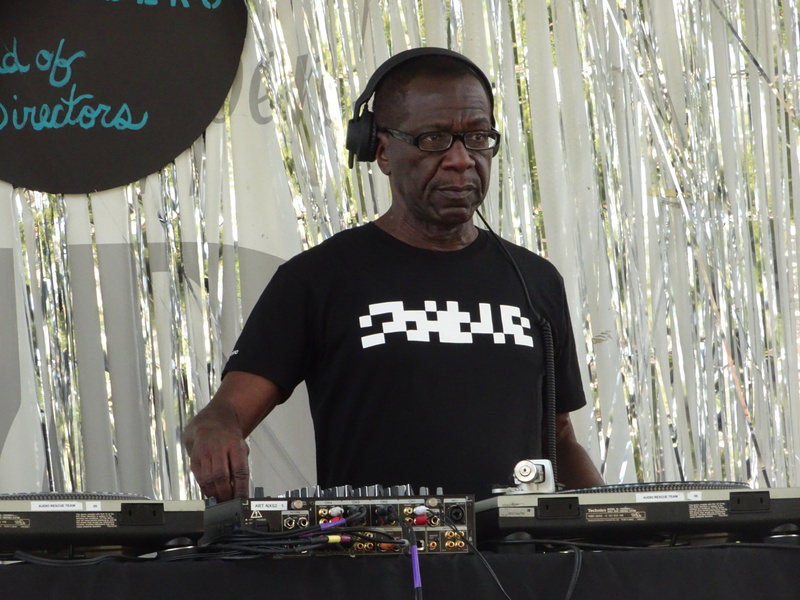 Leonard Ware, a Detroit-based DJ, music engineer and producer, spun an eclectic mix of dance, R&B and disco during his set, which provided the perfect beat for the Motor City. Meanwhile, Belve quickly turned the beat around to a high-energy hip-hop show and performed tracks from his debut EP. Clear Soul Forces’ Jarrel Lowman (L.A.Z.) also took the stage to perform with Belve, and together, the two bounced fast-paced rhymes off each other while simultaneously dazzling the crowd. Detroit LIVE’s three headliners – Rah the Son, John Jammin Collins and Clear Soul Forces – provided back-to-back sets fueled with Motor City-inspired hip-hop and techno to close out a memorable Detroit LIVE. During the “Wet Paint” set, Hammond, Sam Morykwas and Troi Sharp performed in a “stop motion” style while grooving their way across the stage. Detroit LIVE attendees adored Rah the Son’s fun, well-choreographed movements and high-energy music. 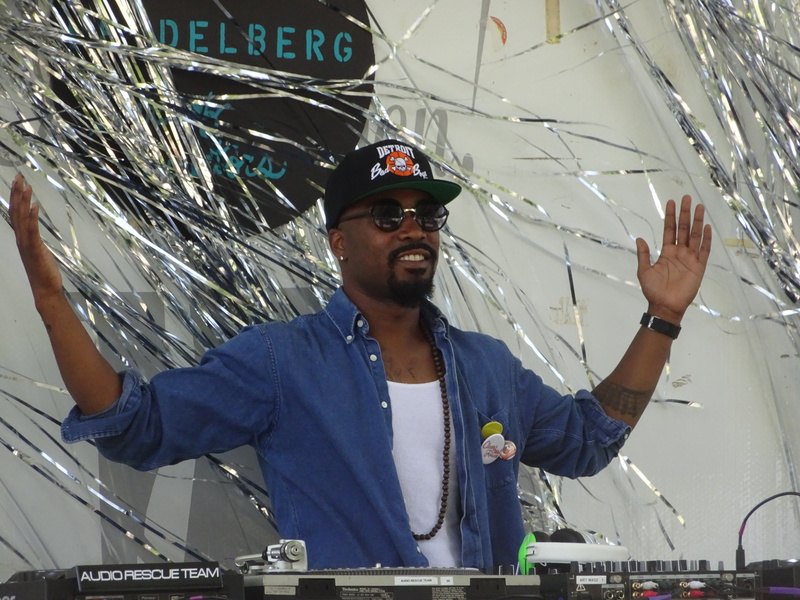 Throughout his set, Hammond also would comically engage the crowd and his band in a musical conversation. “I didn’t hear y’all. That sounds all right. Sounds like it’s like ‘all right’ funk music, but I like to hear a loud funk music. Who likes being bad? Who likes being naughty?” Hammond asked. The crowd laughed and danced in response to Hammond’s inquiry. By combining his theatrical talents with hip-hop, Hammond truly invigorates the crowd with his brilliant performance artistry. Next up, legendary DJ and producer John Jammin Collins played an incredible mix of techno that seamlessly weaved one song into the next and responded instantly to the crowd’s movements. A group of dancers, including staff from The Stratton Setlist, moved until their feet went numb. It was proud moment for Detroit LIVE attendees as they danced to the techno sound that originated in the Motor City nearly 30 years ago. Nearby, a group of kids tested their breakdancing skills with Maurice Archer from the Geechi Crew while Collins provided the ultimate sonic backdrop. 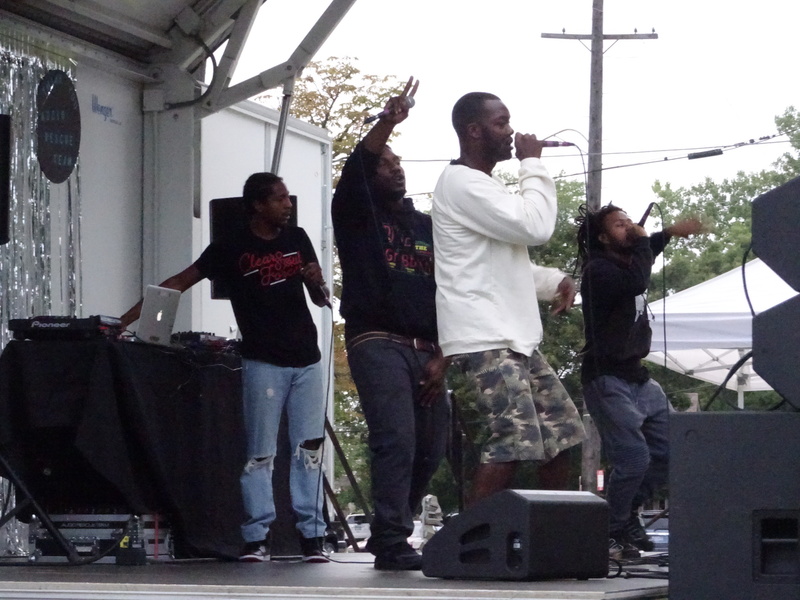 As dusk fell, the Detroit LIVE crowd eagerly awaited the arrival of the city’s fantastic foursome of hip-hop – Clear Soul Forces. Emile Manette (E-Fav), Jarrel Lowman (L.A.Z. 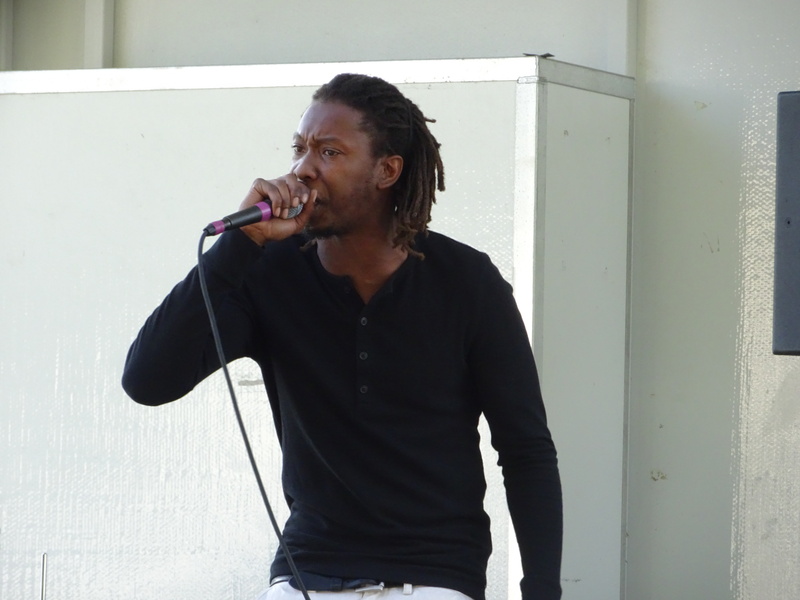 ), Jarred Douglas (Noveliss) and Kortez Marion (Ilajide) bounced on stage as they engaged in an infectious hip-hop dialogue with one another and the audience. Together, they quickly traded off rhymes from one member to the next while Marion mastered the beats as Clear Soul Forces’ emcee. The group is a forced to be reckoned with live – they each contribute their own style, flair and talent to result in one of Detroit’s most promising hip-hop acts. 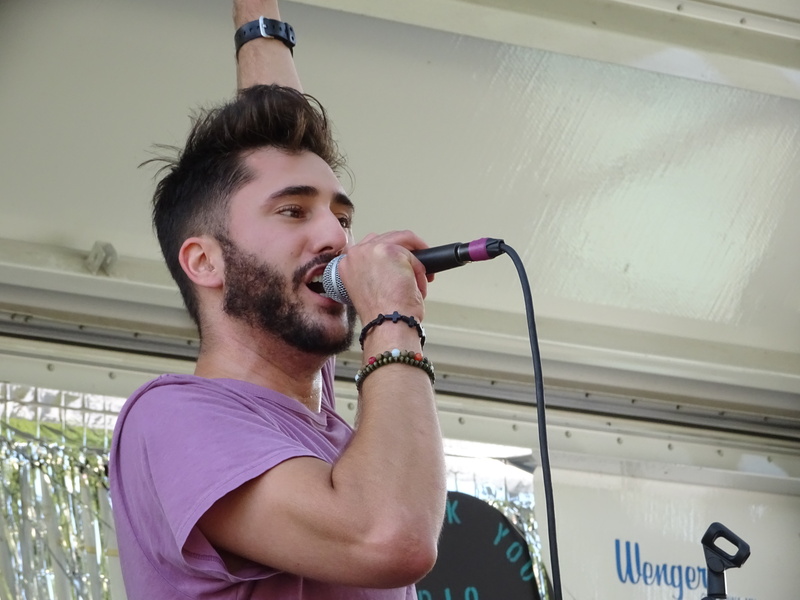 Toward the end of their set, Clear Soul Forces vigorously performed “Get No Better,” a crowd favorite from 2012. It was the right song to hear toward the end of Detroit LIVE because it couldn’t get any better. Sounds like a goodtime event!